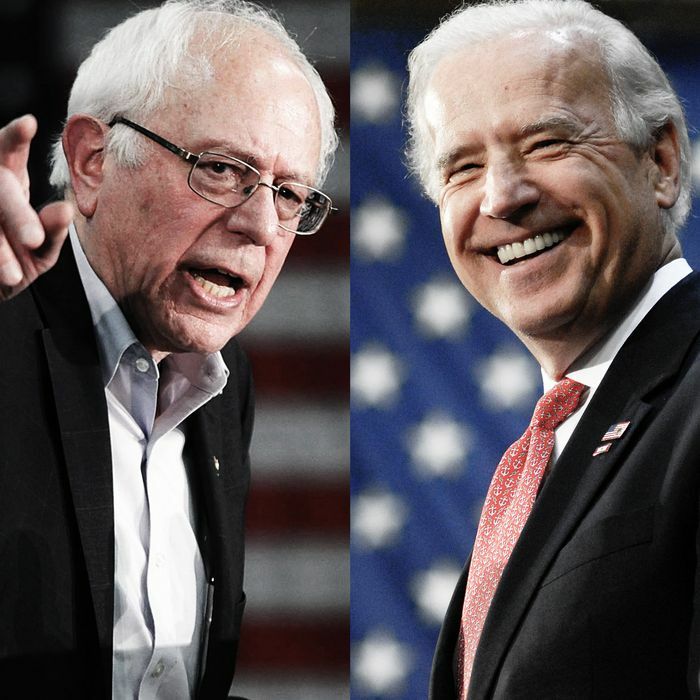 If Bernie Sanders or Joe Biden becomes the 2020 Democratic presidential nominee, their party could be courting unexpected disaster for the second election in a row. As a left-of-center writer still somewhat traumatized by the events of last November, I’ve spent a fair amount of time thinking about what might produce a second horrendous lightning strike and an eight-year Trump presidency that could reshape the United States in all sorts of regrettable ways. It’s possible that investors eager for tax cuts and deregulation could drive a short-term economic boom that’s just large enough to put Trump in a good position for 2020. The turnout patterns that in 2016 thwarted what looked like a significant and growing Democratic demographic advantage could recur. Intensified partisan polarization could reduce potential GOP defections in a way that might make it very hard for a Democratic challenger to open up a durable lead, even if Trump’s approval ratings remain poor. But far and away the most likely path to a second Trump term is a second Democratic challenger to Trump who becomes more of a political problem than a solution. And while no one in the running for 2020 suffers from the exact vulnerabilities created by the massive, decades-long attacks on Hillary Clinton, there is one clear and present danger that needs to be confronted directly and honestly. It’s that Democrats could choose a challenger so old that the prospect of infirmity or mortality — or worse yet, actual infirmity or mortality during the general-election campaign — could give Trump just the kind of advantage he needs. This is not, obviously, a theoretical issue. On election day in 2020, Bernie Sanders will be 79 years old, and Joe Biden will be a couple of weeks from turning 78. These happen to be the early front-runners for the Democratic nomination, according to initial polls. And that’s not just a matter of name ID: Sanders is the leader of a political movement that will be extremely active in the midterm elections, and a pol who millions of people believe would have done decisively better than Hillary Clinton had he won the 2016 nomination. Biden has been running for president or vice-president for much of the last three decades. Neither has announced a 2020 candidacy, but both have conspicuously refused to rule it out. Biden 2020 or Sanders 2020 is a really bad idea, for reasons that go beyond the anomaly that either would make the oldest man ever elected president the youth candidate in his reelection bid. There are certainly octogenarians who are physically fit, sharp as a tack, and as competent at work as any whippersnapper. But it’s no secret that when people, particularly men, get to that age, the risk of mortality rises significantly (a 75-year-old man has a 22 percent chance of dying within six years), and along with it the possibility of cognitive deterioration (an estimated 15 percent of people between the ages of 80 and 84 suffer from some form of dementia). If voters fear any of that happening, it could (particularly with some encouragement from the kind of intensely hostile conservative media that Sanders and Biden were spared in 2016) affect their electability in ways that are not easy to anticipate in scope and power. And even more obviously, if a 77- or 79-year-old candidate suffers from any real or perceived impairment, the issue could take over the campaign to an extent that makes Hillary Clinton’s email problem look minor. Setting some “cap” on the age of presidential candidates is inherently an arbitrary exercise. But in terms of 2020, the logical rule would be that Democrats should not consider as nominees anyone older than Trump himself, who will turn 74 during the general-election campaign. Democrats should let him be the one to parry questions and concerns about age and health. Disqualifying Biden and particularly Sanders (or better yet, quietly encouraging them to disqualify themselves by deciding not to run) will upset a lot of loyal supporters. But it’s not like the bench will be empty of potential candidates from every conceivable background (there are certainly still plenty of available white men other than Biden and Sanders) and ideological persuasion. Indeed, taking these two out of the race would help the odds of finally electing the first woman as POTUS; Elizabeth Warren, for example, does not run afoul of the younger-than-Trump rule. And the Sanders enthusiasts most likely to be angered by efforts to talk their champion out of a 2020 run might want to give a longer look to Jeff Merkley, Sherrod Brown, Amy Klobuchar, Kirsten Gillibrand, or Keith Ellison — as well as Warren. If nothing else, this is a subject that demands discussion among political activists and the news media. Perhaps an aging country has all but abandoned the idea that you can be too old to run for president. If not, we need to know that now instead of in the heat of a campaign.